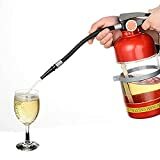 Do you love wine and hate pesky raging house fires? 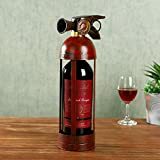 Disguised as a fine bottle of French Bordeaux, this cool new Wine Bottle Fire Extinguisher lets you keep a fully functional fire extinguisher proudly out in the open and close at hand instead of hidden out of sight under a sink. 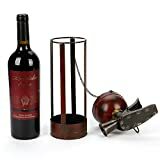 It's fully certified for use in the USA, comes in a wooden wine gift box, and if you happen to use it up, the manufacturer will send you another brand new fire extinguisher. 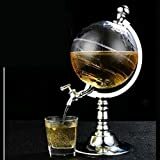 Perfect for decoratively protecting a wine cellar or kitchen and makes a great gift for wine lovers. Fully certified for use in the US. 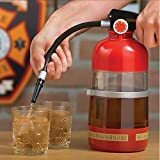 Manufacturer will send a brand new fire extinguisher if you use yours up!